I had great expectations while watching the “Popover Bread” rise in the oven. Imagining the beautiful sandwich I would create it with it. 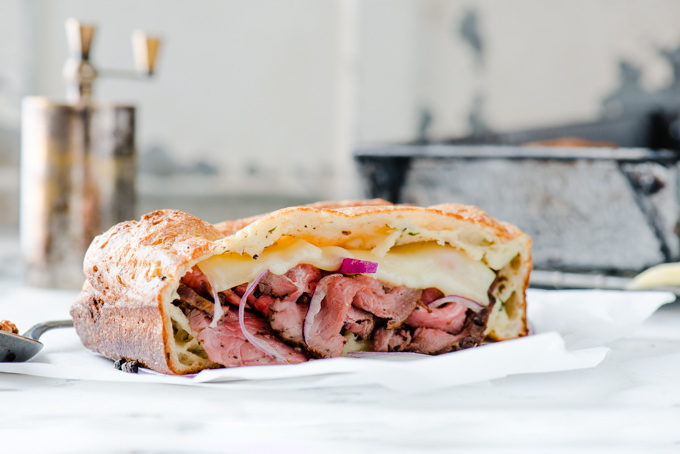 A simple, delicious, leftover roast beef sandwich. My expectations were met, and then exceeded when I realized I could pry the bread open like a pita and stuff it. Leftovers will never be the same. Shortly after making this “sandwich”, Shannon arrived home, so naturally I shared it with her. Unfortunately, this meant I only had half a sandwich. Thankfully there was plenty of Popover Bread left over. For round two, I stuffed it with egg, peppers, sausage, cheese, and more, then baked in the oven to get everything warm and melty, and ate another game changer of a sandwich! The possibilities are endless. Make the bread, and fill it with all of your hopes and dreams! 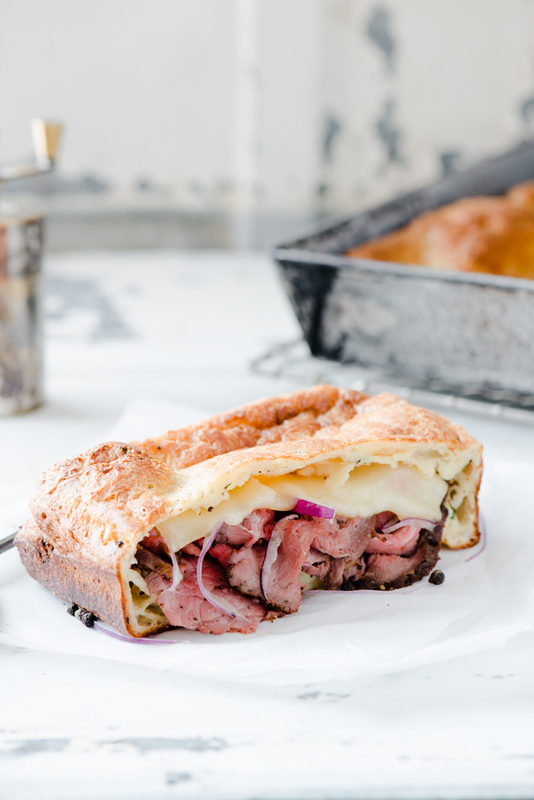 Leftovers are taken to the next level, with this Roast Beef Stuffed Popover Bread. 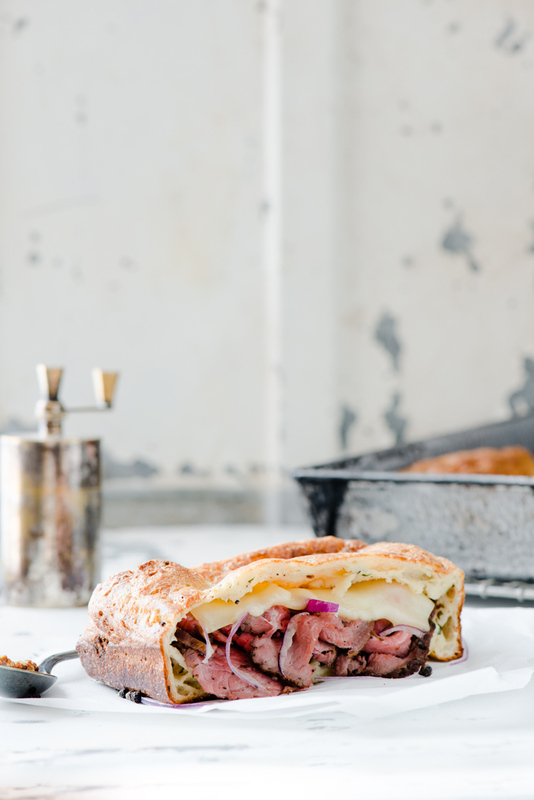 Fluffy dough, filled with juicy roast beef, melted cheese. What more do you need!? 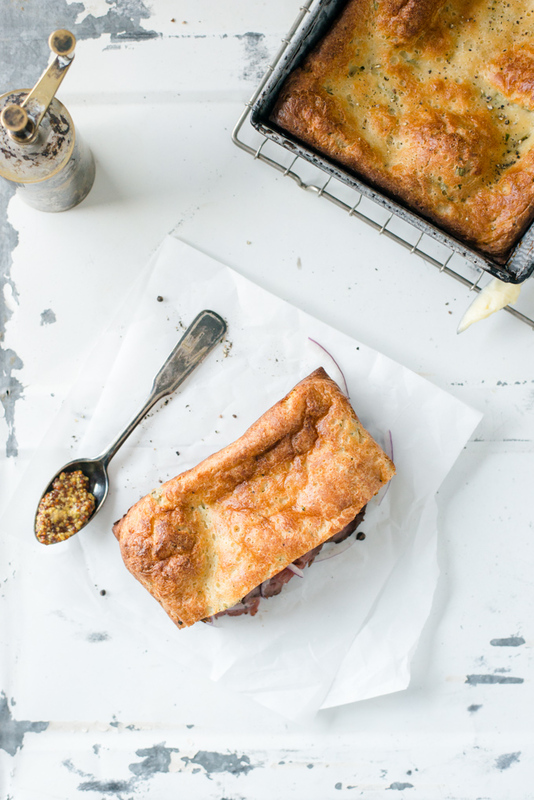 Using a sharp knife, open up the center of the popover bread, until you have space to stuff your ingredients in. Spread a layer of mayo, along with some mustard, followed by your roast beef, onion and cheese. Pop it in the oven at 350F for about 5-10 minutes until everything is warmed up, and the cheese is melted.